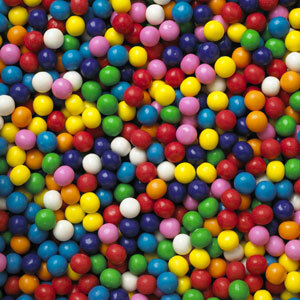 Always fresh bulk gumballs. These half inch small gumballs will dispense through your antique gumball machines or from any gumball machine equiped with a bulk candy dispensing wheel. 20 lbs. of 8500 small gumballs.